Who are the Big Winners and Losers After "Black Friday"? PokerScout.com (link below) has posted an interesting analysis of the traffic of the major online poker rooms in the post-"Black Friday" environment. The first weekend after "Black Friday" (April 16-17), the online poker rooms that had their domain names seized (Full Tilt Poker, Pokerstars and Cereus) all posted very large drops in traffic. Pokerstars, thanks to their large base of international players, "only" dropped 26%, while Cereus and Full Tilt Poker both lost almost half of their traffic (Cereus was down 40%, while Full Tilt Poker was down 49%). In the past week, Pokerstars and Full Tilt Poker both reached an agreement with US authorities. 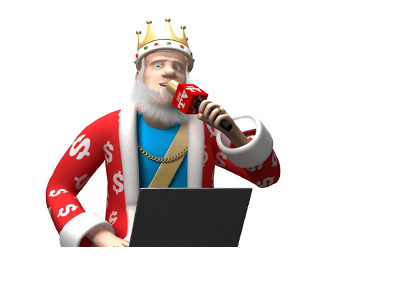 The agreement would allow for both companies to regain the use of their domain names, provided that they continued to block real money play from US players and agree to have somebody monitor their compliance. In addition, both sides agreed that US players should have their balances returned as soon as possible, and that they would be working together to ensure that this took place. In the second weekend following "Black Friday" (April 23/24), Pokerstars lost just 3% of their traffic from the weekend before, while Full Tilt Poker posted an increase of 28%. The Cereus Network, on the other hand, posted an additional 42% drop in traffic from the weekend before. Traffic at PS and FTP seems to have stabilized, while Cereus remains in a freefall. As you can probably imagine, the online poker rooms that have remained open to US players after "Black Friday" have done very well for themselves. The Merge Network (which includes Carbon Poker and LockPoker) has seen their traffic increase 61% since "Black Friday". 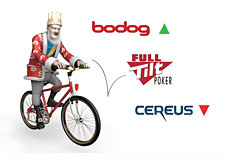 Bodog is up 32%, while the Cake Network has posted an increase of 30%. All three networks posted increases in traffic in the past week, as many American players continue to seek out new homes. How about the "European majors", such as Party Poker and the iPoker network? How are they doing in the post-"Black Friday" environment? Well, as you can probably imagine, sites like Party Poker did very well in the days following "Black Friday". Many non-US players decided that they wanted to let the smoke clear at PS/FTP, so they decided to play in the relative safety of Party Poker and the iPoker network. In the weekend following "Black Friday", Party Poker posted a 9% increase in traffic, while the iPoker network posted an increase of 4%. The trend has not continued though, as both networks posted a 5% drop in traffic in the second weekend following "Black Friday" (compared to the weekend before). Compared to before "Black Friday", Party Poker is only up 3%, while the iPoker network is actually down 2%. It seems as though many non-US players are choosing to stick with Pokerstars and Full Tilt Poker, rather than jetting for a site like Party Poker. Pokerstars has apparently started processing cashouts for their US players, and this development should make non-US players even more comfortable when it comes to playing on their site. It will be interesting to see how things shake out over the next month or so. 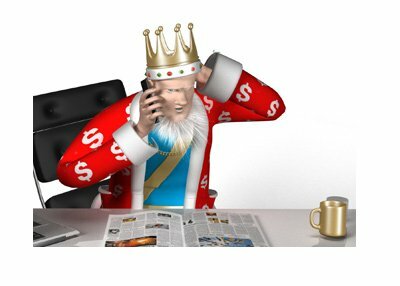 It appears as though the expected bonanza of new players for sites like Party Poker isn't playing out, as Pokerstars and FTP have seemingly done a good job of calming the nerves of their customers post-"Black Friday".